What if agriculture and arts meet hotel industry? This may raise an eyebrow and will surely perplex everyone on how these three areas will co-exist in a single space. 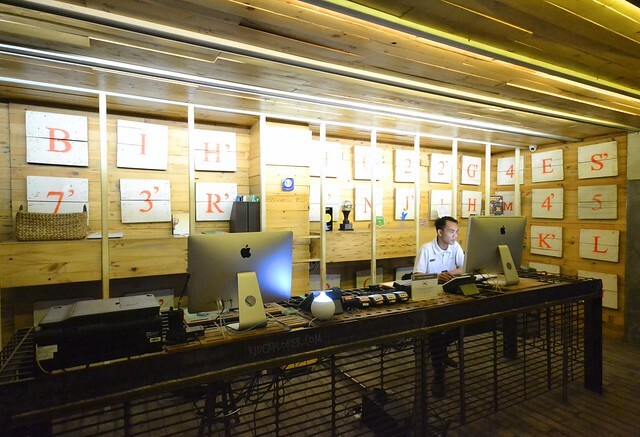 The first two fields are what Yogyakarta is known for and Greenhost Boutique Hotel combined these with hotel concepts. An eco-friendly hotel that supports sustainable farming and local craftsmanship by ensuring a lesser impact on the environment. Thanks to a local who helped us book a Go-jek car from Yogyakarta Station to our hotel. We were losers to have network-locked phones where local SIM cards are expected not to work. Our service turned right on a wrong street and the kind driver was apologetic to mutter that Greenhost Boutique Hotel is on the next street. I already confirmed it earlier on my Google map. Few meters before the pinned location on my map, I already noticed a building covered with plants. Moments later, I realized it’s Greenhost Boutique Hotel. 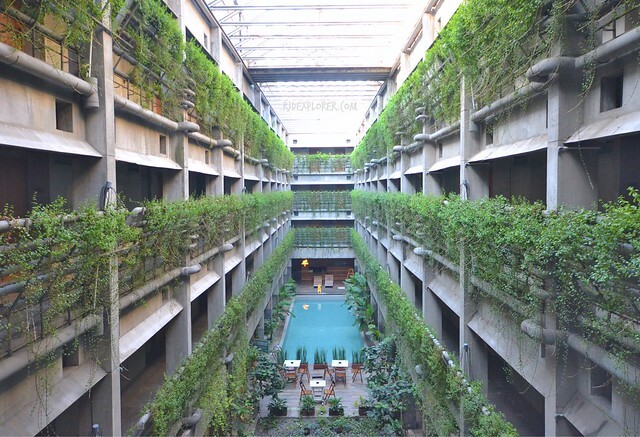 The entire facade of the hotel was covered with plants that you can’t easily see the concrete walls. I was stunned when I entered the hotel’s premises. 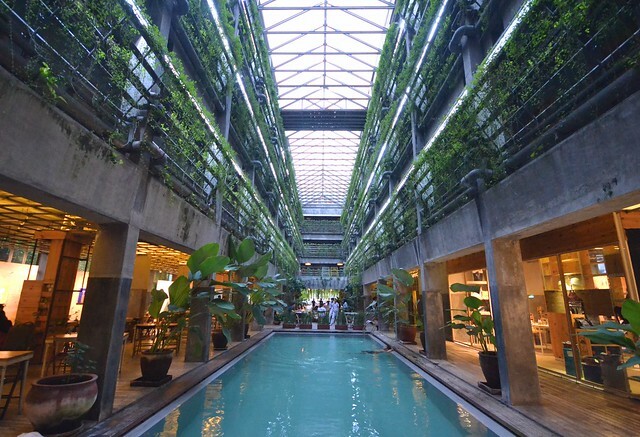 Similar to the frontage, the sprawling interior of the hotel has greens that cover most of the structure’s beams. It was a first time for me, to stay in such a unique masterpiece, a fusion of different concepts I didn’t imagine exist. A sculpture welcomed us at the hotel’s lobby. It depicts a boy with his hands extended to become branches where birds reside. The main goal of the brand was indeed rendered in the masterpiece. They want their guests to go beyond and do whatever they can to protect mother nature. Going back to the accommodation, check-in ritual started when a crew confirmed our reservation upon flashing our passports. It was followed by another crew giving us our welcome drinks and towels. Refreshing gestures for travelers who had a 6-hour train from Surabaya. We waited a bit for our key card because we were assigned to a king-sized bedroom but I requested for a twin-bed room. Our room was on the second floor and at first, I thought the hotel being eco-friendly, only allows their guests to use the stairs. But the lifts are near the pool and the creator’s playful ideas brought the boring elevator ride to life. Once you get inside the elevator, a screen welcomes you ‘Hallo!’. Our room is across the elevator and going around is too much than we always used the stairs near the lobby. 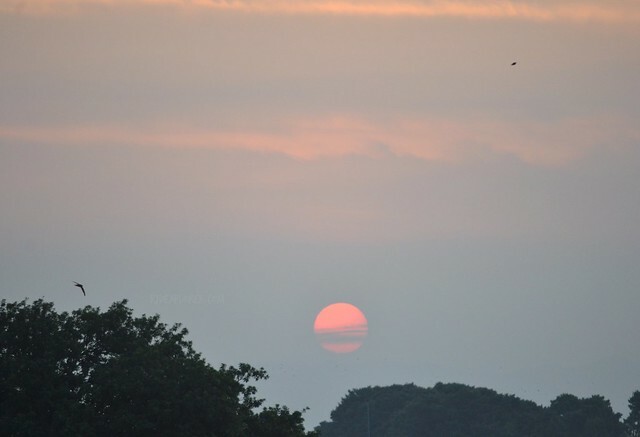 Majestic sunset from our room on our arrival. 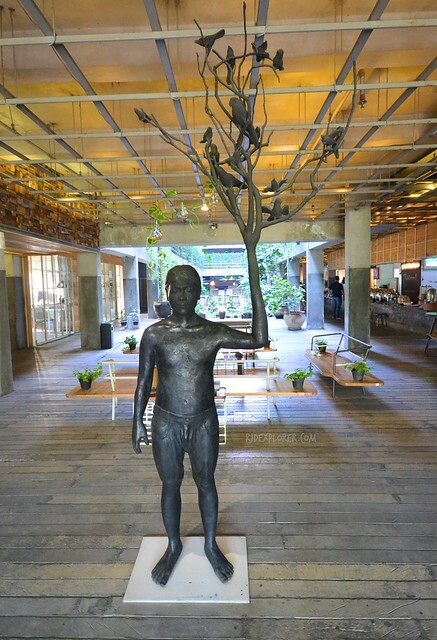 There are 96 artist-designed rooms at Greenhost Boutique Hotel. It was shared into seven room types that offer almost similar facilities and amenities except for the materials used by the artists. We were assigned to a Rempah 2 room, designed by Paulus Mintarga that utilized more on the use of pinewood scraps and bamboos. Wood is indeed utilized in revamping the interior of the room from the luggage rack, extended working desk, and lampshade. Two twin beds, on wooden frames, are closed to each other with the side tables on both ends. Upholstered headboard and bed runners also bear patterns that impeccably enhance the clean white sheets and pillowcases. Our room for 3 nights in Yogyakarta. Six glass panels compose the almost floor-to-ceiling window internally covered by two-layered sheer and opaque curtains. On the other side, the flourishing plants serve as our natural curtains. Our room is facing the west and light during sundown creates an exceptional shadow effect with the plants. It was always great to stand by the window and stare at the view shielded by the plants. Stones on a gutter, before the window, add a natural mood on the entire vibe of the room. 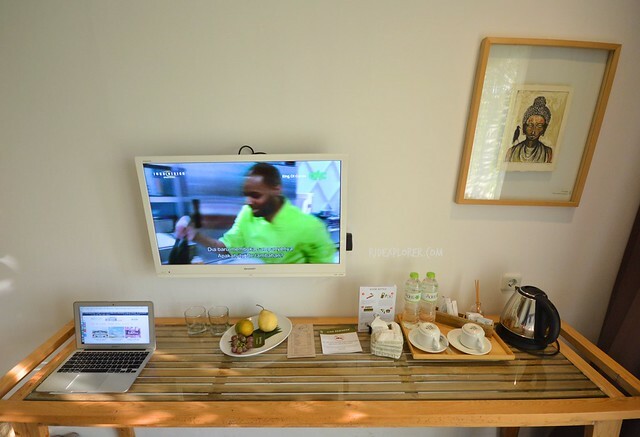 In-room facilities are telephone, coffee and tea making facility, and cable-enabled television. For the bathroom, the door is not the typical wooden type and is a sliding one. One side of the bathroom glass is transparent making you uncomfortable if you’re with someone else. For the shower, they installed a shower curtain that separates it from the toilet seat. I love the scent of lemongrass and it started when I’ve stayed in Bluewater Resorts in the Philippines. Shampoo and shower gel being provided by Greenhost Boutique Hotel is lemongrass infused, making me enjoy every shower during our stay. For the soap, they still want to be organic as much as possible with the rice soap, it doesn’t last long though but your skin will be soft, smooth, and moisturized every after use. 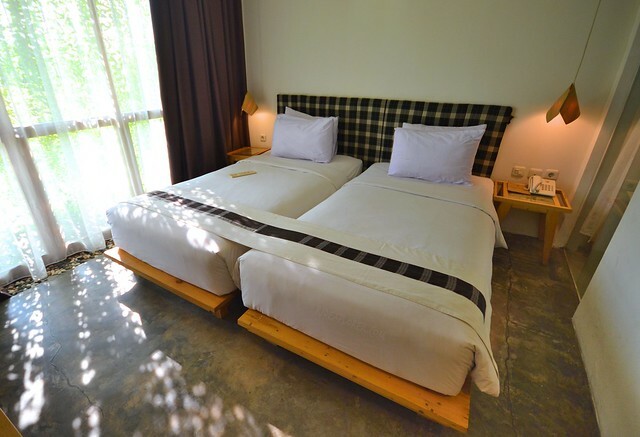 Since Greenhost Boutique Hotel promotes an eco-friendly way of hotel living, their main restaurant Art Kitchen Resto is a farm-to-table dining place. 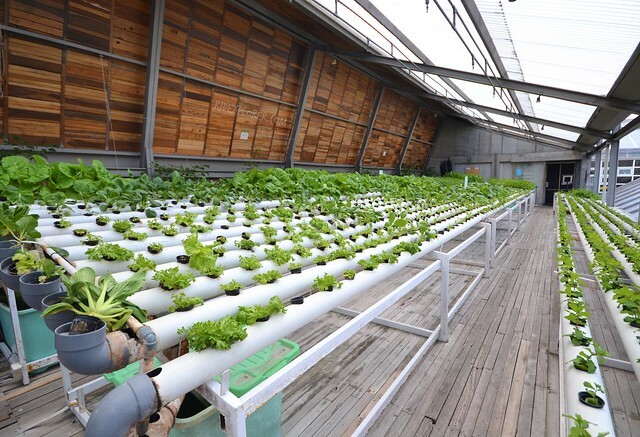 Mind you, the hydroponic farming they have on their rooftop is their main source of fresh lettuce, spinach, mint, basil, as well as other herbs and vegetables. They also source fresh local produce from the traditional market just a few meters away from the hotel. The restaurant provides a semi-alfresco dining with some tables set-up near the pool and the hotel’s open space. They’re good at setting up their buffet. 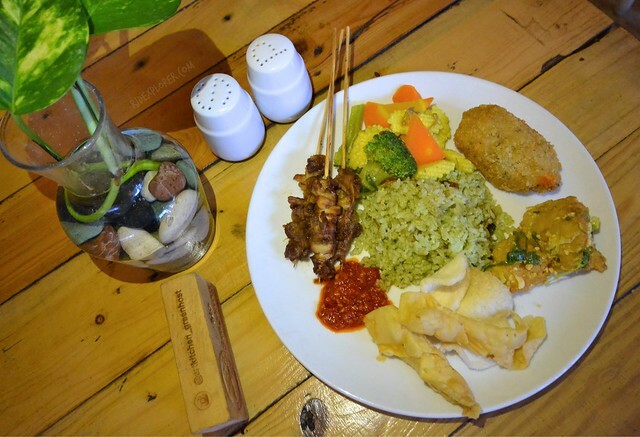 Restaurant crew maintains the concept of the hotel by preparing meals integrating the abundance of local produce and traditional Indonesian food and cooking processes. 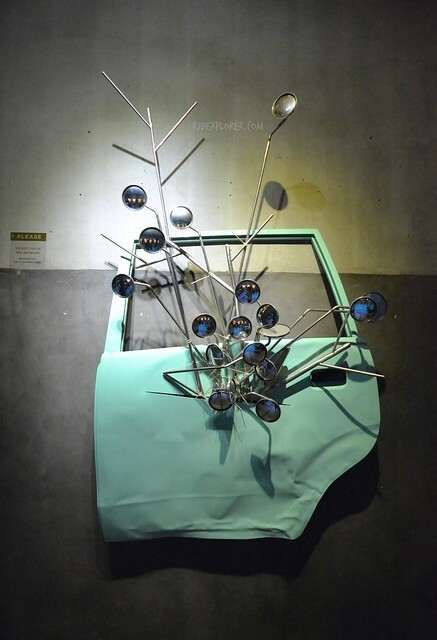 One of the art installation on the ground level of the hotel. 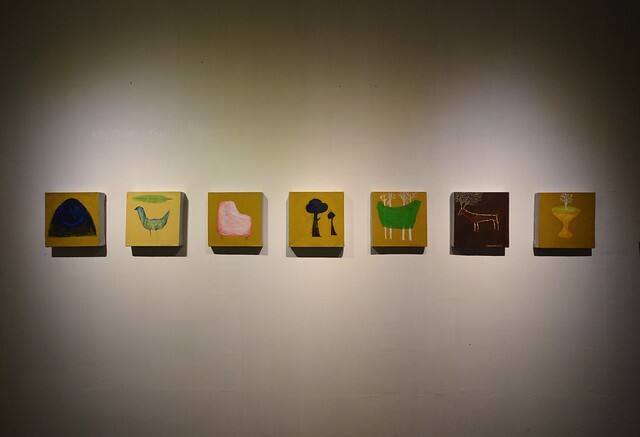 Not only that, space also serves as a gallery for local artists to exhibit their crafts and masterpieces. This makes the entire restaurant an artsy place for meals at any time of the day. 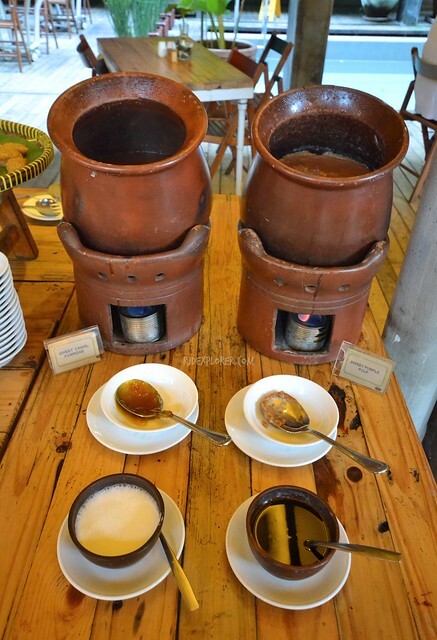 Art Kitchen Resto is in-charged for the hotels daily buffet breakfast. If you’re a vegetarian, for vegans I’m not sure how strict they are in using dairy products, you’ll surely enjoy the breakfast spreads. One of the items I’ve tried and surely a hit was the mushroom skewers. At first, I thought it was chicken skin but later on, realized it was mushroom because of the tenderness different from the meat. Apart from Art Kitchen Resto, another restaurant the hotel offers to hotel and walk-in guests is AGENDA Resto and Vibes. The cozy restaurant is on the topmost floor of the building. It serves beverages like coffee, tea, fresh and chilled juices, and even mocktails. For bites, some appetizers, soup and salad, meat, fish, pasta, burger, Asian delights, and desserts. 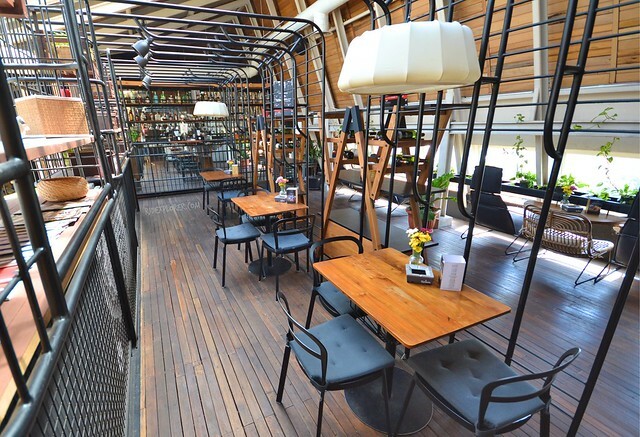 The restaurant has several hang-out areas from a classy section, sit-on-the-floor, and a limited space with metal works. 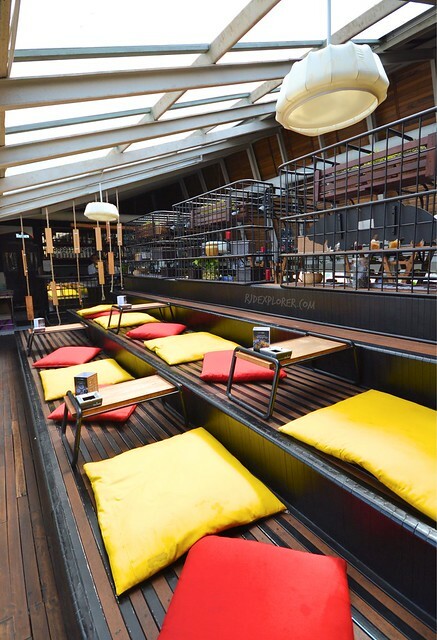 Using transparent roofing sheets for some areas add the natural mood on the interiors of the resto. Metal bars and wood are the two materials that are very visible in the restaurant’s interiors. Greenhost Boutique Hotel also has a great interest in supporting their local artists. It is known that their rooms are conceptualized by several artists using different materials to convey art on a different medium. Several paintings and other installations are also on the ground floor of the hotel. Some of these are placed at the restaurant or at a space dedicated for exhibits. Arts don’t end inside the hotel because nearby walls and alleys from the hotel have graffiti and mural arts that depict the daily life of people in Yogyakarta. Wall art just across the hotel. 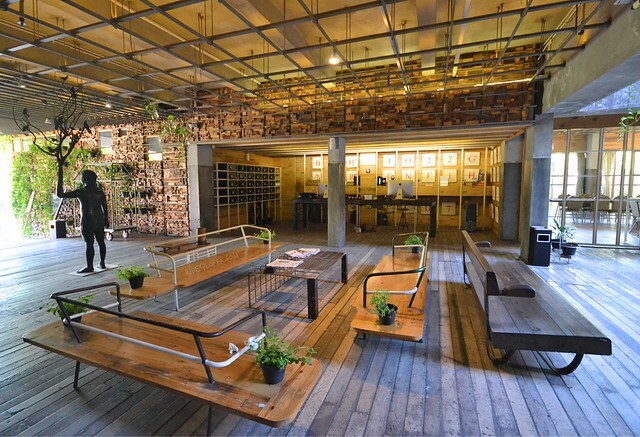 If you visit their roof deck, you’ll be amazed by their creative farm. 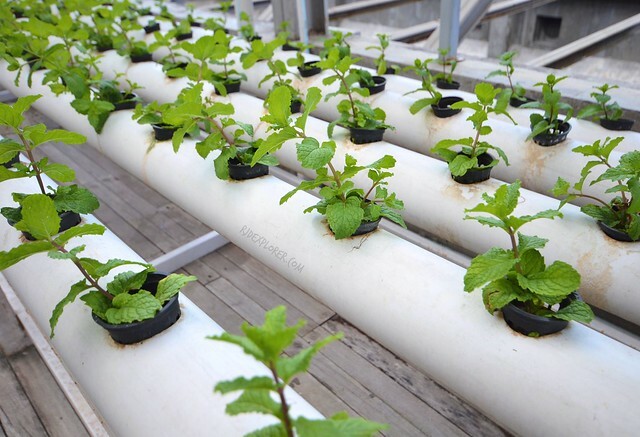 The hotel is utilizing a hydroponic system of farming which is found to have a lesser impact on the environment. 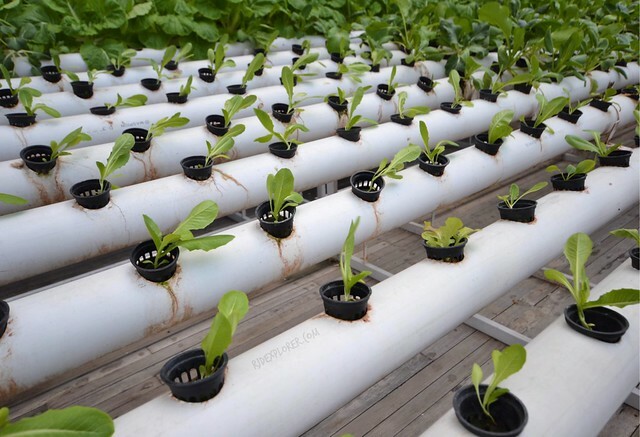 If you’re not familiar, hydroponic gardening is a segment of hydroculture using a method of farming without soil. You can Google the concept for an in-depth definition of process and ways of farming. Their indoor garden supplies vegetables like spinach, cabbage, and herbs like mint and basil. If you’re lucky, you could join some hydroponic classes and join the team on one of their harvests. 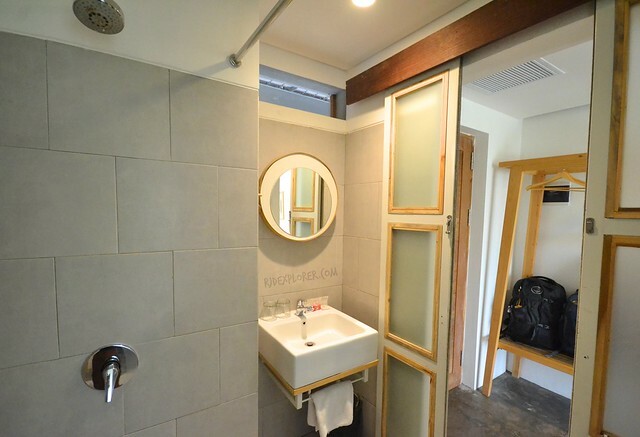 It was indeed a unique experience to stay in Greenhost Boutique Hotel. It’s not simply about leisure and relaxation but also learning on ways on how to minimize your impact on the environment. The hotel is not one of the traditional hotels that offer the usual facilities and amenities. 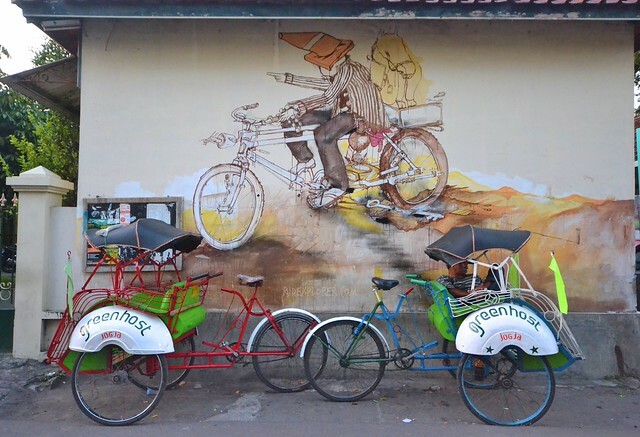 You can have it anywhere but the urban-farming and art concepts are rare and Greenhost Boutique Hotel is only one of the few, if there are any others out there, providing guests this kind of exceptional hotel accommodation. Creative farming on the hotel’s roof deck.